While at The Four Firkins the other day this beer continued to fly off the shelf but was luckily restocked so I decided I had to check it out. 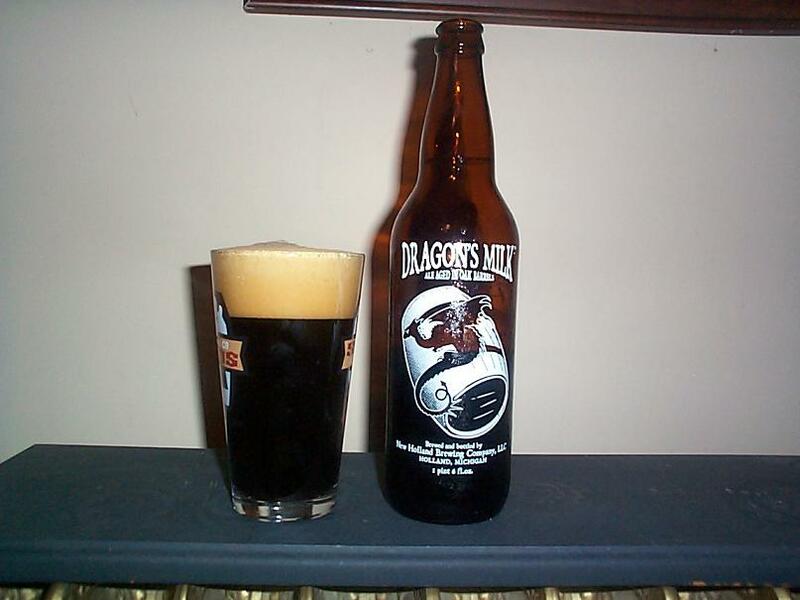 Dragon’s Milk is an American Strong Ale from New Holland Brewing out of Holland, Michigan and is sure to be a pleasant experience. The name Dragon’s Milk comes from a term of the same name that is traditionally used to describe the strong ales in the 17th century that only royalty would be treated to. This beer pours a pitch black color that could not get much darker, with a inch and change of nice thick brown head that settles slowly and cascades marvelously as you pour. The aroma of this beer is strong and malty, sweet roasted chocolate is most notable with a slight hint of bitterness. The flavor of this beer is quite nice, roasted malt rushes all over your palate with a coffee flavor in the back of the mouth. Bitter flavors can be picked up that taste a bit like bourbon and are likely from the cask aging which occurs for at least 120 days. The 8.5% ABV of this beer is definitely noticeable but is not offensive because it blends nicely with the bitter bourbon flavors present. 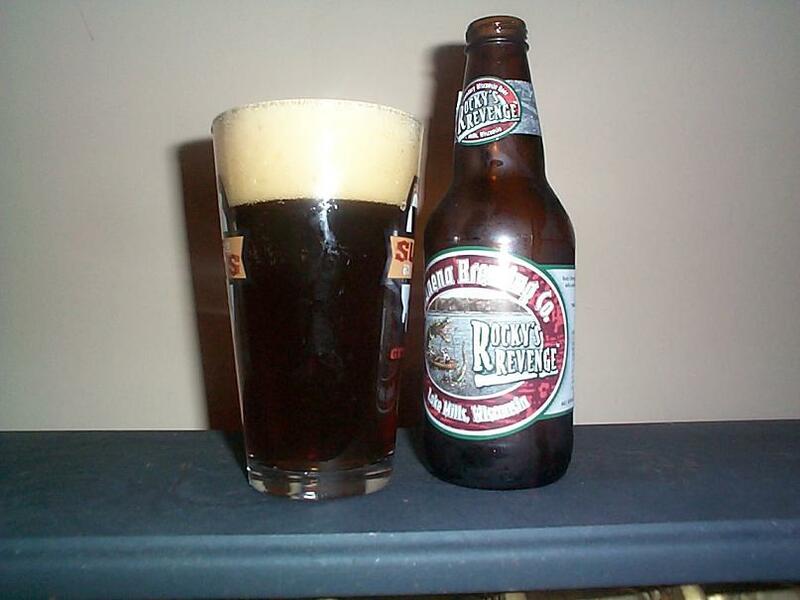 This is certainly a strong dark malty beer but its mouthfeel is medium and lighter than one might expect considering. If you like a well crafted dark beer with an intense malt profile and a little something extra this is a good choice. Give it a shot and ride your bike. This time we have Rocky’s Revenge from Tyranena Brewing, an American Brown Ale. Apparently a portion of this beer is aged in bourbon barrels so it will vary from batch to batch. This bottle pours a nice very dark brown color, hinting at black and the darkness allows no light through. Head is a solid inch with a slightly tan color that retains for a few minutes. Aroma is nutty and of dark somewhat coffee like malt. Upon the first taste you can tell how dark of a brown ale this really is, strong malty flavors are dominate but simple and nondescript, as you continue drinking a citrus bitterness wraps up the flavor, quite different. The mouthfeel of this beer is light and somewhat carbonated, quite drinkable even though a dark beer. This beer is rather interesting decently well balanced, but dark and malty with a strange sourness in the finish. I am curious to try more of this beer to see how the cask aging impacts different batches but I won’t be holding my breath. A decent brown ale, if your into simple malty beers with something extra this is probably a decent choice. Give it a shot and ride your bike. I simply couldn’t pass up this beer when I saw it on the shelf, so here’s to another lovely Southern Tier brew. Upon opening my bottle of their Imperial Creme Brulee Stout I can already smell its lovely aroma of vanilla beans that it is brewed with. After pouring this beer smells even better, creamy caramel and vanilla scents are overwhelming and can be smelt a foot away. Also detectable are some dark malt scents but the creme brulee scent makes the others hard to identify. The color of this beer is grand, deep dark black with lovely creamy brown head that seems tame at first but cascades marvelously and creates a few inches of tight bubbles that remain for some time. Wow, this is a very interesting beer with a suiting name. The flavor is sweet and creamy with a hint of a flatter flavor that is somewhat coffee like but not very bitter or strong due to all of the sweet creme brulee like flavors, kind of tastes like a sweet roasted toffee. The caramel flavors are very different that you would typically find in a beer, tasting more like roasted sugar than roasted malt. The 10% ABV of this beer is some what noticeable but not at all harsh because of all of the creamy sugary flavors. The mouthfeel is medium but it is still quite drinkable for a stout, not nearly as heavy as I expected. This is definitely a nice beer but a bit on the sweet side as one should expect from its name. If you like a sweet creamy stout this is a lovely choice. Give it a shot and ride your bike. Today is a very happy day as it will be my first opportunity to try the new beer from Flying Dog’s Canis Major Series: Kerberos Tripel.Â I was ever so happy to see this beer on the shelves of The Four Firkins while I was there for the “Wheat Wars” tasting (Good times by the way and props to Michael of A Perfect Pint for choosing some tasty beers and Alvey for hosting this event) and simply could not pass up buy the first pack I saw. This big beer is brewed in the traditional Belgian Tripel style using yeast to bottle condition this beer and allow it to continue fermenting after being sealed. This beer pours with a surprisingly small amount of head for a Belgian style ale producing about 1/2 an inch but it does stay for a decent period of time. The golden color of this beer is beautifully rich and transparent but it is still somewhat difficult to see your fingers if you hold them behind the glass. The smell of this beer is wonderful sweet malt hits the nose immediately with just a hint of bitterness in the end and light alcohol. 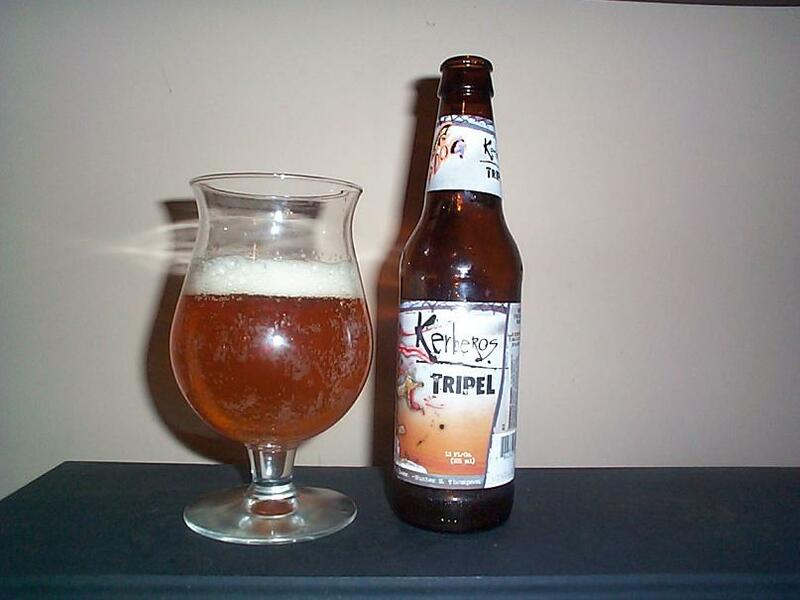 This is certainly a good American interpretation of a Belgian Tripel style ale. Flavors are incredibly smooth, sweet flavors with slight fruit hints come first followed by a lovely hoppy balance that flows through the palate. For a Belgian beer this one has a very light mouthfeel and is quite drinkable with a bit of carbonation to remind you your drinking alcohol. With a 8.5% ABV you should probably be careful with this ale if you are not used to drinking strong beers but the flavor won’t remind you because it is so well balanced and smooth. I am excited to finish my 4 pack of this beer, anyone who appreciates a good strong ale in particular a Belgian that is more hoppy than usual will certainly like this beer. Give it a shot and ride your bike. Slowly trickling through these Tyranena brews we come to their Headless Man Amber Alt. Altbier is an interesting style which traditionally consists of beers that have been conditioned for an extended period of time creating a smoother ale. This beer pours a very rich red color looking somewhat like a raspberry but not quite as bright. Head is a bit over an inch but fades rather rapidly, very light in color. This beer has a nice full aroma hints of fermented raspberry and other fruit seem present but sweet malt takes over and rounds off the aroma. The flavor of this beer is quite nice, a slightly sharp hop bitterness hits the tongue first then comes some nice smooth malt flavor that has a slight fruit hint of sweetness finishing with some more hop flavor but very smooth. Coming in at 5% ABV this is a very drinkable beer with a nice light mouthfeel but still very full flavored. The more I drink this beer the more interesting flavors I find and the more curious and encouraged I am to try more beers of this style. Will definitely be buying this beer again even though I tend to prefer a hoppier the different flavors in this beer are great. If you like an amber brew but want something different that is smooth but does not have a massive malt profile you will likely enjoy this beer. Give it a shot and ride your bike. I had seen this beer taunting me from the shelf wondering what the hell it was a number of times, so I finally decided to pick one up and read the bottle only to discover it is made by the wonderful Rogue Brewery out of Newport, Oregon. 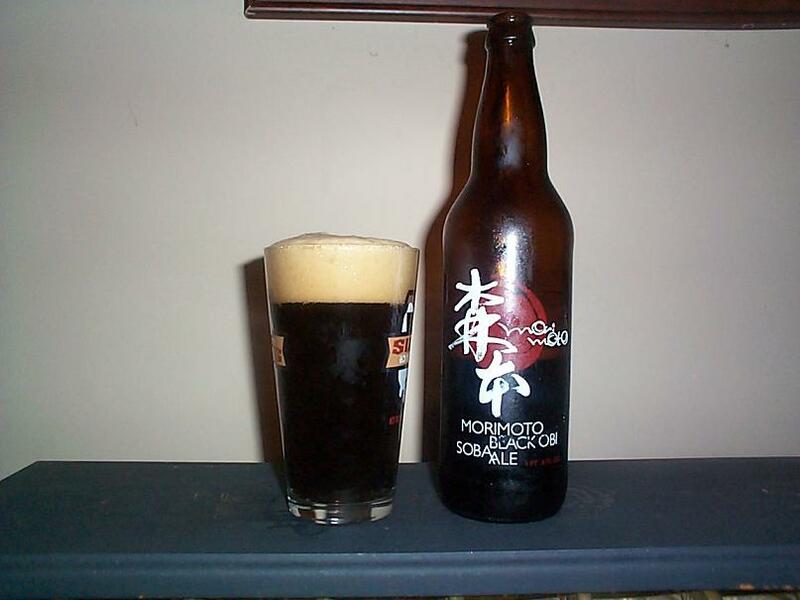 The Morimoto Black Obi Soba is one of three beers launched as a collaboration with Masaharu Morimoto an award winning chef who you may know from the show Iron Chef. These beers are made with Soba, also known as buckwheat which is actually not a wheat but part of the rhubarb family and a staple in Japanese cuisine because of its impressive nutritional properties. This particular beer is dedicated to Rogues Japanese distributor Phred Kaufmann and apparently is a remake of their original Phred’s Black Soba Ale. Now onto the good part. This beer pours with close to an inch of marvelously brown tinted head that is quite frothy and stays for quite a while. Color is black with deep red colors sneaking in while in the light. Aroma is interesting and hard to place, I mostly get malty sweetness, almost fruity like cherry. The flavor of this beer even more interesting, a dull fruit flavor hits the palate first that reminds me of cherry but is nowhere near as sweet which is finished by a malt like flavor that makes this beer very smooth, presumably from the soba. Overall this beer is somewhat flat in most of its flavors, though this is not that uncommon in a porter this is a different one, obviously the grains used in this beer contribute a lot. Not a bad beer, a bit sour in the initial flavor but a relatively smooth dark ale in the finish. RateBeer refers to this beer as a fruit ale, and Beeradvocate as a porter and I must say I agree with both. If you like a dark, not particularly malty beer with some sour but not artificial fruit flavor this will do you right. The ABV of this beer is not listed but the original Phred’s Black Soba AleÂ is rated at 5% and I would be inclined to believe this one is about the same. Anyone who is curious about how irregular ingredients effect a beer will likely appreciate this one. Give it a shot and ride your bike. 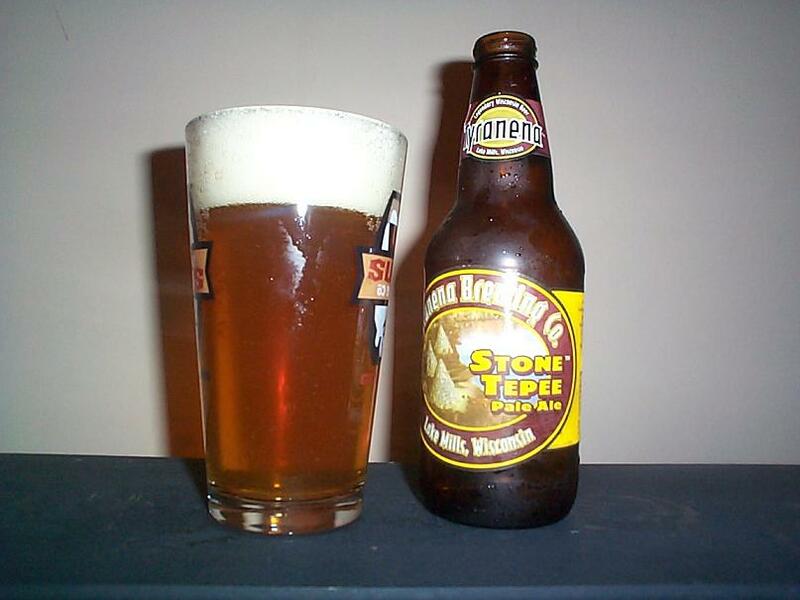 Gotta clear out the fridge so here’s to another Tyranena Ale. This time around we have the Stone Tepee Pale Ale coming in at 5.75% ABV. This beer pours a very nice filtered looking copper color that fades from light reds to golden yellows in the light. Head is a good inch and change and fades rather quickly but is a bit more firm than the Three Beaches. Aroma is largely of lightly caramelized malt but slight hop bitterness is notable on the nose. This is a pretty good pale ale, a nice hop bitterness hits the tongue first, then some nice citrus rounded off by some malty sweetness. This is a very drinkable beer with a relatively light mouthfeel. I often find many pale ales boring but this one is rather creative, nothing too complex but certainly full of flavor. Probably wouldn’t buy it often but it’s definitely a beer that anyone can enjoy and down a number easily. If you like a pale ale with some citrus and not too much bitterness but still want a flavorful beer this is a good choice. Give it a shot and ride your bike. 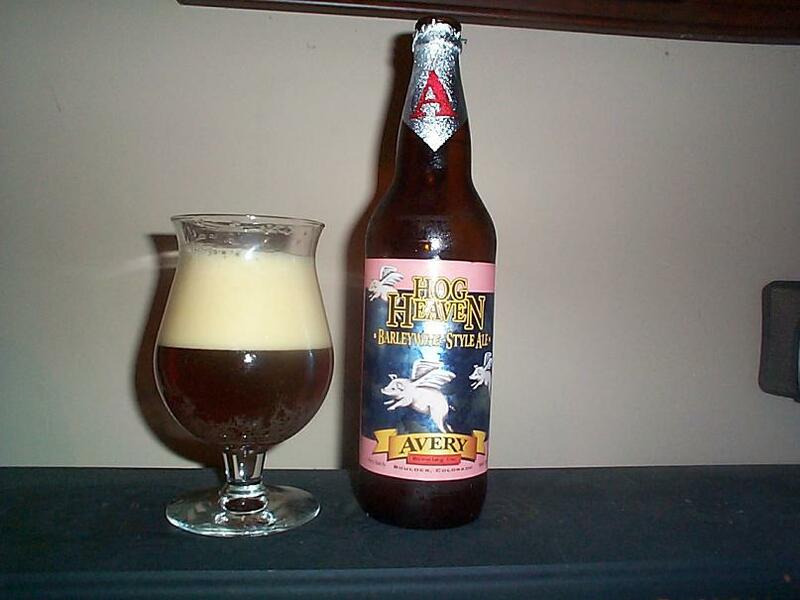 This one’s been sitting in my fridge since just after my birthday so I suppose it is about time I open up my bottle of Avery Brewing’s Hog Heaven Barleywine from Boulder, Colorado. This beer pours an attractive dark red color, that produces a very deep but bright red color in light. Head is more than plentiful as this beer cascades very nicely and then quickly produces lots of thick foam that fades rather slowly and is light tan. The aroma of this beer is wonderful, initially sweet malt is most notable but there is a beautiful citrus aroma present as well as light bitterness. Mouthfeel is medium not particularly thick. Flavor is quite different than the aroma, bitter hops hit the palate first with only a tiny bit of citrus present, some lightly caramelized malt sweetness helps bring the flavor to a balance but this is certainly a hoppy beer. With a 9.2% ABV you will certainly notice you are consuming a strong beer though the bitter hops do a very nice job of hiding the alcohol flavor. As I continue to drink this beer I notice a bit more of a sweet citrus flavor on the back of the palate that does a very nice job of balancing out this beer’s bitterness. Overall a very interesting barleywine, largely what I expected from reading about it’s hop profile. If you like bitter and hoppy, strong but not overwhelming beers than this is a great choice. Certainly more hoppy than most barleywines that I’ve preferred but still very nice.Â Give it a shot and ride your bike. Decided to purchase a sampler pack of Tyranena beer recently so you should be seeing many reviews of their fine year round brews in the near future. 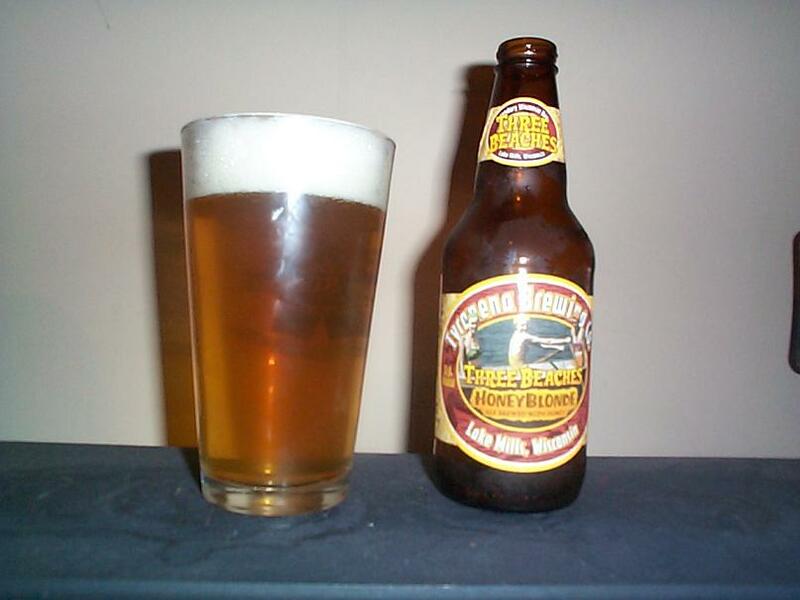 Looking for the lightest beer to start out tonights tastings we will start with their Three Beaches Honey Blonde, named after Rock Lake’s three beaches in Lake Mills, Wisconsin. This ale pours a nice transparent golden color. Head is very plentiful and relatively solid, but the small bubbles fade quite quickly. Aroma is of pale malts and slightly sour with a sweet honey hint. This is a quite interesting beer, flavors of sour pale malted barley are most prevalent with a nice bit of sweetness sneaking up in the back of the palate and smoothing out the beer decently. Mouthfeel is incredibly light one could easily drink this beer as if it were water. It is different than I expected, far more citrus flavor dominates the palate but this is a decent beer, would be incredibly refreshing on a hot summer day at the beach or while grilling some fish. If you like a light sour citrus beer this one is for you. Give it a shot and ride your bike. 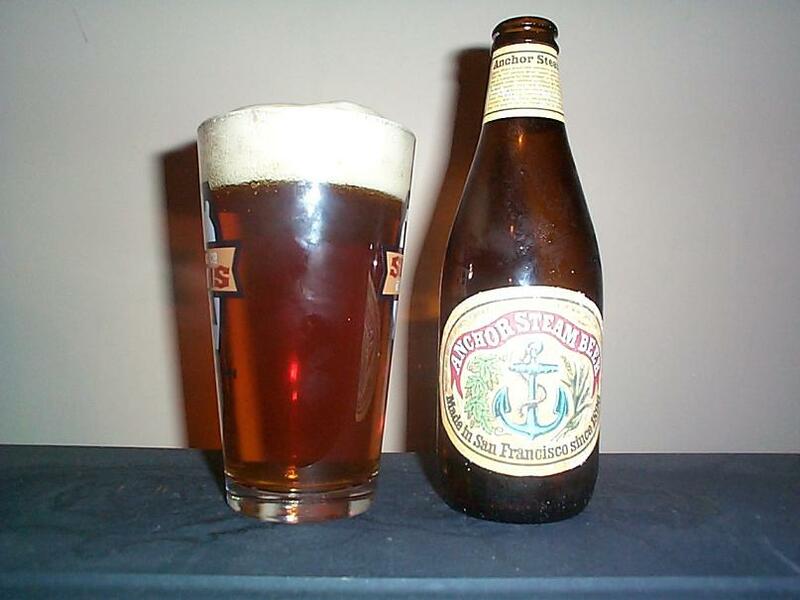 So here we go again with hopefully another lovely beer from Anchor Brewing out of San Fransisco. 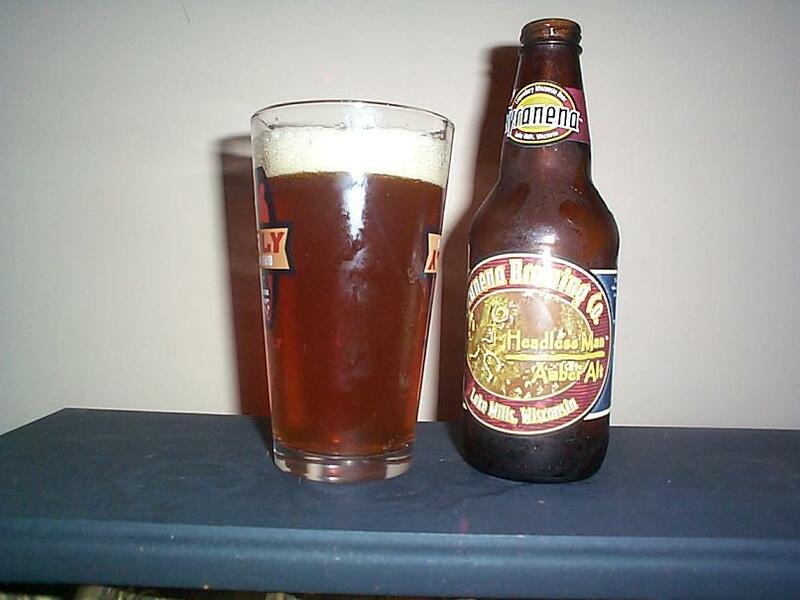 This beer first brewed in 1896 took its name from the term “steam” which was used to describe beers brewed with aÂ more primitive technique because of the difficulties and expense involved in refrigeration at the time, this style is legally referred to as California Common.Â This beer pours with a few inches of healthy plentiful light colored head. Color is copper with very subtle red hints and is very transparent, obviously filtered. Aroma is full of gentle but spicy malt, almost sour aromas are also present. Roasted malt flavor hits the palate first and is most notable but slight bitterness is present rounded off by pale almost lager like malt flavors that produce slight citrus hints fitting the style wel. This is an interesting flavored beer somewhat like a brown ale with very little hops, coming in at 4.9% ABV a bit of alcohol is slightly notable but the carbonation is more prevalent. This beer has a rather lite mouthfeel is very easy drinking, good any day of the week. Give it a shot and ride your bike.